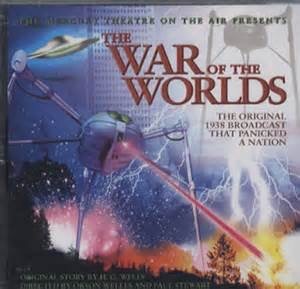 At midnight, on All Hallow’s Eve, I light a candle, grab some Kit Kat and listen to an old recording of Orson Wells’ famous “War of The Worlds” broadcast. Although I’ve read some online articles stating that there wasn’t a panic caused by the broadcast, my mother’s family verified that there was indeed a huge scare. 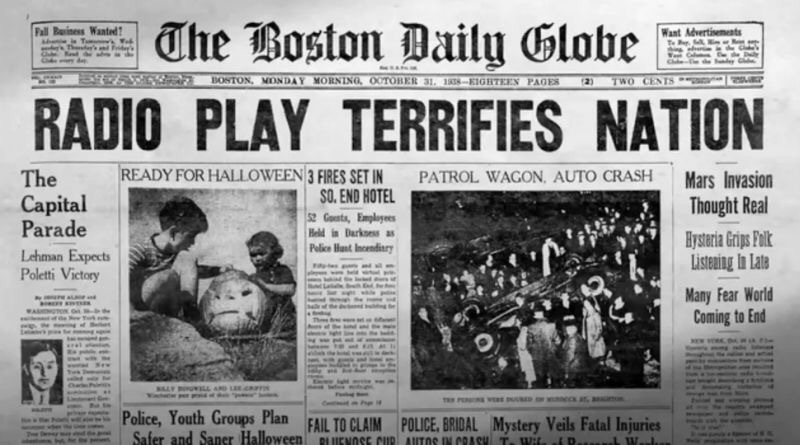 In Cincinnati that night, grandparents were hosting a Hallowe’en party, my young mother and her friends gathered around the radio to hear Orson Wells’ broadcast. They said they had been listening from the start of the show and knew it was radio entertainment. But, many people started listening only after their friends called, telling everyone that they’d better turn on the radio, something big was happening. When you listen to this radio play, just imagine what you might have thought if you’d come in after the show has started. People did panic. My mother said the phone and doorbell started ringing as neighbors called and went door-to-door to check on each other. My grandmother explained it was just a show but it took a bit of doing, and some Hallowe’en candy, to calm people down.